Bridge of Hope Children’s Ministry is passionate about releasing children from poverty but this is only possible when Individuals work together to make a difference. There are different ways that you can support the work of Bridge of Hope Children’s Ministry and we value everyone who strives to transform the lives of children living in poverty. Our team of Advocates are volunteers who are dedicated to releasing children from poverty by giving their time in a variety of ways. At Bridge of Hope Children’s Ministry we recognise people as individuals and whatever your skills or talents we would love you to get involved. Undertaking speaking engagements to church groups, scouts etc. Bridge of Hope Children’s Ministry depends on prayer to transform the lives of children living in poverty. We believe this transformation can only be achieved with God’s help. Please join us and pray for the work to be led and blessed by our Almighty God. 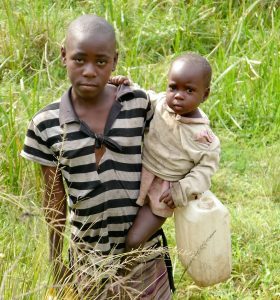 Donations make a significant impact on our work and the care we can give to children in Uganda. As a donor you will be transforming lives in Jesus name. 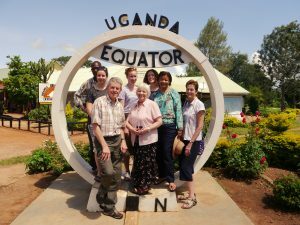 Our trips give visitors the opportunity to engage with people in Uganda and live out their Christian faith. You will meet people in their own homes; visit the Bridge of Hope projects and spend time with the children who live at the Bridge of Hope Children’s Village. Bridge of Hope Children’s Ministry is passionate about releasing children from poverty but this is only possible when Individuals work together to make a difference.